Both Frontpoint Protection Package and Simplisafe are excellent choices for your home security system. Their reputations are also both great and frankly, it’s quite a difficult job to compare them. Let’s see how each of them stacks up in this home security head-to-head. 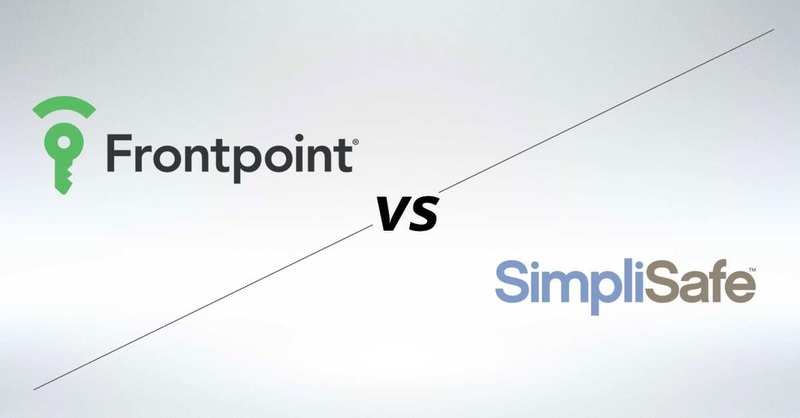 Frontpoint vs Simpisafe – Who Wins? Simplisafe does not require you to sign a contract in order to use their services. You simply have to pay a monthly fee and whenever you want to stop using the service, cancel the payment and that’s it. For anyone who wants basic home security with no commitment, this is clearly a very compelling option. Frontpoint offers a contract length option between 1 and 3 years. 1 year contract = $25 discount. However, if you cancel during the contract, you have to pay 80% of the outstanding value of it. There are ups and downs to having a contract, of course. If you want a stable service and want to be sure you receive quality, a contract is the best way to get that. However, if you don’t like commitments, you may want to see our guide to home security services without contracts. It all depends on your preferences and priorities. Either way, it’s important to note that if you move to a new home or apartment, both Frontpoint and Simplisafe can move with you easily. Both Frontpoint and Simplisafe offer three levels of monitoring, each package having of course its own set of advantages. The most accessible package from Simplisafe is the Live Alarm package, which costs $14.99 a month. It includes 24/7 monitoring and the system sends alerts to the monitoring center, who call you to assess the status. As you can see, this is a barebones, basic plan. The third level package is called the Interactive monitoring in both companies. Simplisafe charges $24.99 a month for this. Besides what you already got for the initial package, here you receive extra features, like a smartphone app that allows you to arm or disarm the system, check on the kids back home and other facilities. 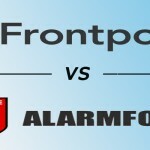 Simplisafe does not have a similar package, so maybe Frontpoint wins this round. Even though they have similar packages, that doesn’t mean there are no other costs. They are quite transparent and have no hidden fees, but you will also have to pay for other things. Besides the packages we already presented, here you have an estimate cost. For Simplisafe, the total cost with Live Alarm and the cost of Frontpoint’s Protection service are comparable. With Simplisafe you have to pay $424.83 for one year, while with Fronpoint the total cost is $794.83. For three years, Simplisafe will cost you $788.41, while Frontpoint $1,359.59. Moving on to the Interactive packages for both companies, we see that for 1 year, with Simplisafe you pay $544.83, while with Frontpoint you have to get out of your pocket $890.83. For three years, the former company will cost you $1.148.41 and Frontpoint $1,647.59. On a general note, the equipment used by Simplisafe costs less than the components from Frontpoint, so if you add more components to your service, the difference between the prices for the two systems will increase. Regarding this, Frontpoint uses GE equipment, one of the best in the world according to specialists, while Simplisafe chooses to use their own equipment, which is cheap and clunky according to some, but reliable in general. Frontpoint offers you the great feature of including home automation in your system. Choose the Interactive package and you can control the lights remotely. More than that, the Ultimate plan lets you control the locks and the temperature with your smartphone. The system Frontpoint uses is Z-wave, which means you can integrate other devices from other companies too, but no more than 39..
Simplisafe does not offer any home automation features, so it’s a minus point for them. They have an excellent reputation for customer service, both of the companies. Clients are very happy with the easy installation and the professional attitude of the employees, who take a proactive approach to solve their customers’ issues. However, Frontpoint is open more hours a day than the normal working hours, whereas Simplisafe only works normal shifts. Even so, they both offer 24/7 monitoring. Both companies offer wireless systems, which makes everything easier. You don’t need to have any technical knowledge to be able to install the system yourself. Even the sensors are mounted using double back tape which comes in your package. Also, you do not need any Internet connection to use the system, which is great! 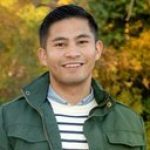 Though Simplisafe may appear cheaper than Frontpoint, their offerings also lack key features that Frontpoint gives you. Don’t let yourself deceived by lower costs and don’t sacrifice the safety and efficiency of your home. 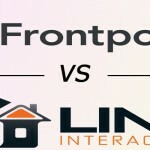 There can only be one winner today, and Frontpoint is the top pick. 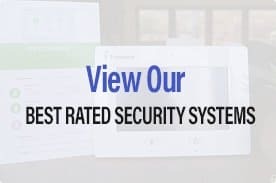 For more details on Frontpoint’s plans and what you get, see our review of Frontpoint Home Security. Plus see videos on how the system works and how easy it is to set up yourself in just a few minutes. Do you need more answers about Frontpoint’s equipment, plans and pricing? Give them a call (877-619-3105). Frontpoint is famous for not being salesy on the phone. On the contrary, they focus on giving you the information you need to make a decision on your own, whether it’s with Frontpoint, or a competitor. If they don’t win your business, they use that experience to help make their products and services better. This is probably how Frontpoint got so popular so fast.